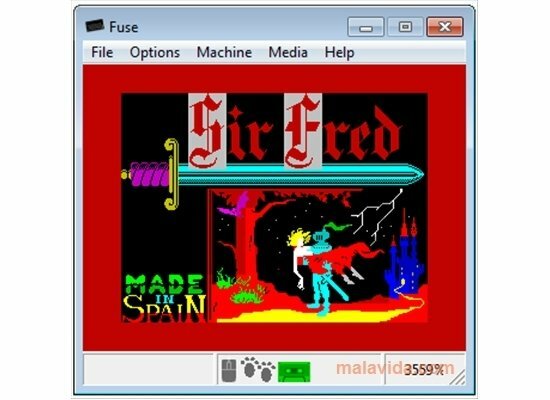 Fuse, also known as Free Unix Spectrum Emulator, is a simple application thanks to which you will be able to enjoy of your favorite games for ZX Spectrum, one of the mythic computers of the 80's, directly from your PC. It can be said that it is the best emulator for Spectrum. The ZX Spectrum by Sinclair was characterized by having a compact design and by exploiting all its capacity to the maximum, becoming one of the most popular computers of the period. 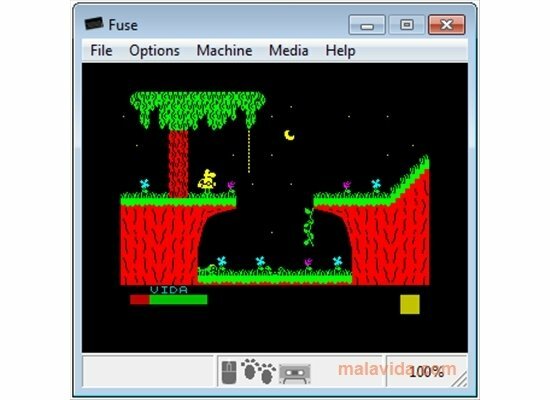 Thanks to Fuse you will be able to remember all the video game that where launched for the different models by Spectrum (16K, 48K, 128K, +2, +2A and +3). 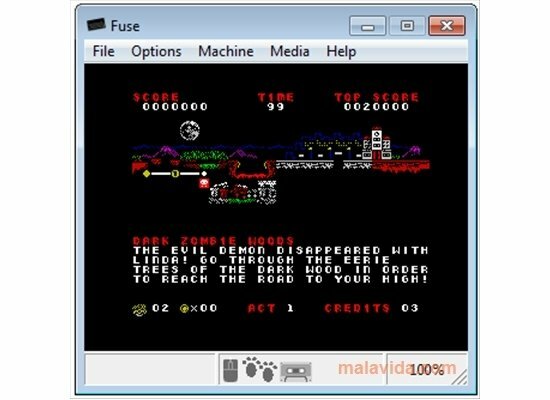 Thus, with Fuse you will be able to play the best titles for Spectrum: Cobra, Sir Fred, Auf Wierdesehen Monty, Arkanoid, Match Day, Kick Off, Abu Simbel Profanation, Manic Miner, Daley Thompson's Decathlon, Nigel Mansell's Grand Prix, Heroes of the Lance,... For this purpose, you will only have to download the files of the compatible games (TAP, TZX) and load them with the program. 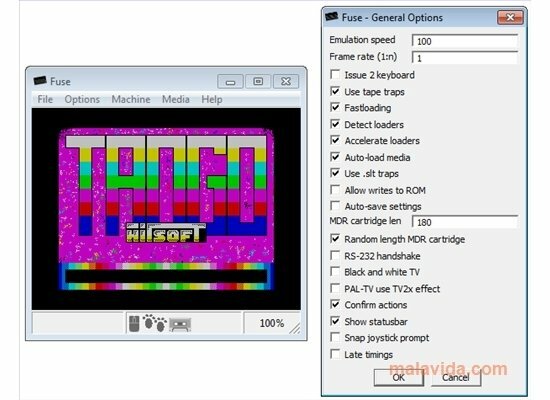 Discover a Spectrum emulator that is very compatible and easy-to-use, thanks to Fuse.